In the heat of summer, few things are as refreshing as an ice cold beverage. From your favorite lemonade to a fruity sangria to that morning iced coffee to help perk you up, cold drinks are quintessential elements of the summer season. Although there are many traditional refreshments you can enjoy at this time of year, there are plenty of ways you can add your own twist to breathe new life into the old standbys. When you use your Margaritaville® Frozen Concoction Maker®, you can turn that plain coffee served over ice into a delicious frozen treat. Chocolate and coffee are a classic pairing, both full of deep, earthy notes that perfectly highlight each other's tastes. The bittersweet flavor of a rich dark chocolate is the perfect complement to strong coffee in this Dark Chocolate Chip Frozen Mocha recipe from The Two Bite Club. Using honey as a sweetener allows for a little burst of natural sugars without being overly saccharine, and almond milk helps you cut out some calories, so you can indulge in this chocolaty treat guilt-free! Line the inside of your glasses with chocolate syrup. Add ice to the ice reservoir and all remaining ingredients to your Margaritaville® Frozen Concoction Maker® glass jar. Concoct and pour into glasses. Top with whipped cream and dark chocolate shavings and enjoy. 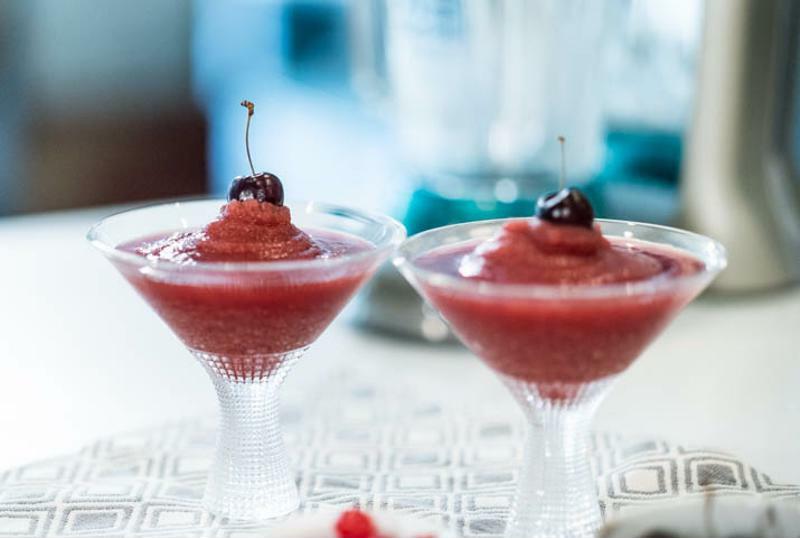 Cherry frozen mochas are the perfect taste for summer. The sweetness of chocolate pairs beautifully with the tartness of ripe summer cherries in this tasty mocha treat. Add ice to the ice reservoir and all remaining ingredients to your Margaritaville® Frozen Concoction Maker® glass jar. Concoct and pour into glasses. Top with whipped cream, sprinkles and a cherry. Why limit yourself to Mimosas and Bloody Marys as your go-to drinks for brunch? Adding a splash of coffee-flavored liquor to this classic frozen mocha recipe makes for a delightful treat to go perfectly with a relaxing morning meal on a warm summer weekend. Line the inside of your glasses with chocolate syrup. Add ice to the ice reservoir and all remaining ingredients to your Margaritaville® Frozen Concoction Maker® glass jar. Concoct and pour into glasses. Top with whipped cream and chocolate shavings. The refreshing cool taste of mint adds the perfect layer of flavor to a frozen mocha. 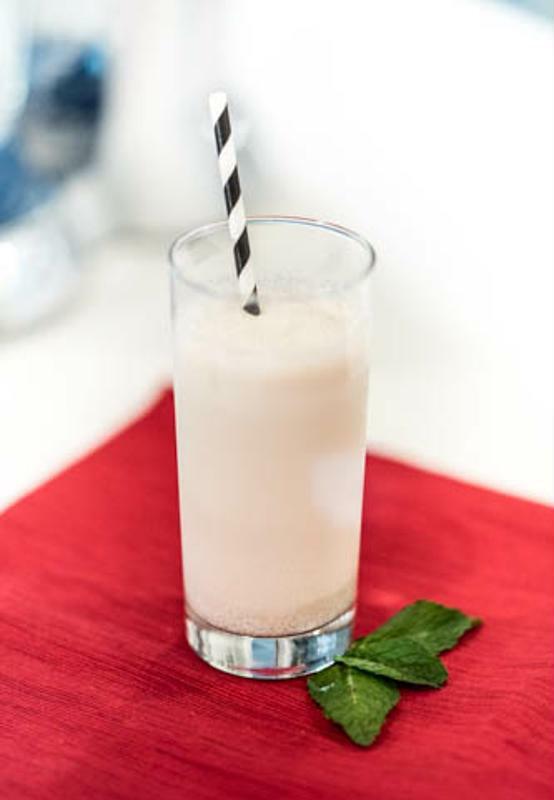 A hint of mint adds another layer of cool refreshment to the frozen mocha palate in this tasty summer drink. Switch the peppermint syrup with a peppermint liquor if you'd like your mocha to have an extra kick. Add ice to the ice reservoir and all remaining ingredients to your Margaritaville® Frozen Concoction Maker® glass jar. Concoct and pour into glasses. Top with whipped cream and a fresh mint leaf for garnish and enjoy. When chocolate was first discovered more than 4,000 years ago by the Aztecs, they used to drink it with a mix of delicious spices. Adding a touch of chili-pepper heat to your frozen mocha can add a striking contrast for a deliciously unexpected drink. Add ice to the ice reservoir and all remaining ingredients to your Margaritaville® Frozen Concoction Maker® glass jar. Concoct and pour into glasses. Top with whipped cream and dust with a sprinkle of cocoa powder and chili powder.